In 2007, the European Union pledged to meet a 20% target of all EU energy to stem from renewable sources. In 2009, the British government then launched a plan to build up to 6000 on-shore wind turbines by 2019, which has since been exceeded. In the year 2011, a substantial 12.2% of all UK electricity was generated by wind- an increase of almost 10% from 2009. 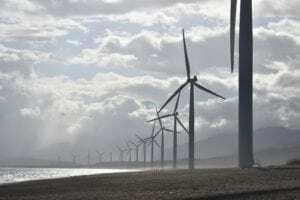 What was, at the time, the largest wind farm ever, the London Array, then came into existence in 2013, once again evidencing the notable growth of both the renewable energy industry, and wind power in particular, on-shore and off. The amount of installed UK wind turbines shot up again by 12% in 2014, with the German company Siemens choosing to invest over £200 million in UK renewable offshore wind energy. British wind power capacity then continued to increase over the following years, with the overall percentage of the nation’s electricity powered by wind growing from 1.5% in 2007 to 17% in 2017. This growth also shows no signs of stopping, with UK wind power capacity expected to double by the year 2030, making the UK one of the best locations for wind power in the world. However, this progress certainly isn’t contained to just the UK. Today and moving forwards, the worldwide renewable wind energy industry is still notably rising, primarily due to heightened demand for sustainable energy, and substantial technological advancements, which have made reliable and effective wind energy more attainable. What’s more, this progress is apparent across different sectors, both business and governmental. In the US, by the end of 2017, 117 major companies had pledged to source 100% of their power from renewable resources, whilst 170 mayors had also fully committed to ‘going green’, vowing to use 100% renewable energy in their city/town. One final point to consider is the cost-effectiveness of renewable energy; with the cost of wind and solar power incredibly low in such countries as India, the U.A.E and Chile, this makes renewable the cheapest type of energy overall, and thus its’ future very bright. 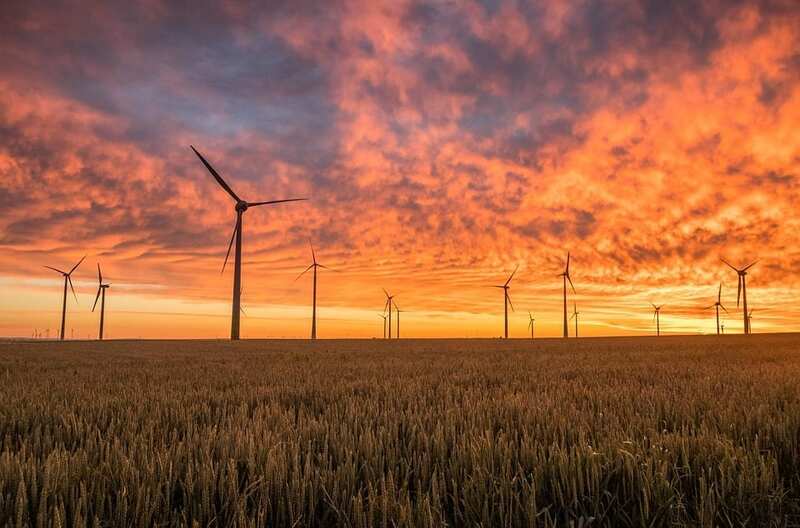 Despite this rising popularity of wind power, and the substantial development of the renewable energy industry in general, wind turbines are not totally faultless, and do present some major issues. The two most notable issues are increased noise levels, and frequent wear and tear; both of which stem from excessive vibration. The naturally occurring vibrations the turbines generate over time can worsen their performance and lifespan, reducing output and therefore wasting valuable time and resources. This is because unregulated vibrations result in excessive material wear, which in turn can (and does) cause part failure, reduce life span and lower the quality of power generated. Equipment aside, there are additional problems wind farms present, most notably concerning noise pollution, which has shown to affect nearby individuals via headaches, nausea and panic attacks, even causing the term ‘wind turbine syndrome’ to be coined. Nevertheless, the government and wind industry have both disputed these claims, stating that most problems reported stem from sleep disturbance as opposed to the turbines themselves, which close proximity to any industrial equipment would cause. The negative outcry from locals does go even further to more tangible problems however, such as lowered house value, and having to keep windows closed year round. The presentation of these two problems therefore places considerable restrictions on wind turbines, and causes quite a roadblock to this rapidly expanding industry. For example, in 2009, during wind powers’ first major rise in the UK, the night-time noise limit was set at 43 maximum decibels, yet members of the public strongly campaigned for a more liveable wind turbine noise reduction of 33 decibels. Such complaints, alongside those concerning the negative impact of wind turbines on farm animals, have caused frustration and delays to installations, despite public opinion of wind farms still largely remaining positive. To target and solve both of these problems, the answer is simply to reduce vibrations, as in turn this minimises both damage to the turbines, as well as lowers noise output, whilst maintaining efficiency and power generated. Lowering vibrations therefore enables turbines to work at optimum pace without causing upset. 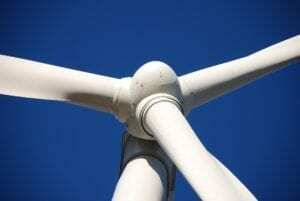 This however presents a new question; how does one actually lessen wind turbine vibration? To keep equipment long-lasting, efficient and effective you’ll need to lower wind turbine vibrations, which can be achieved by installing the correct products. Here at GMT, we’ve designed and developed anti-vibration products perfectly equipped for the renewable energy industry. These products lessen vibrations and ensure wind turbine noise reduction, without compromising efficiency, performance or service life. – Gearboxes; GMT bushes can be used to provide rotational support against the large forces that the turbine blades exert on the gearbox. – Generators; Triflex mounts and machine feet (pictured above) provide isolation against the rotational vibrations created when the generator is driven by the gearbox. 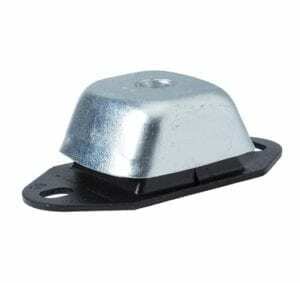 This minimises the transmission of these forces into the nacelle and surrounding structure, thereby decreasing structure-borne noise and increasing life-span of drive-train components. At GMT we provide both of the above, alongside mounts for tidal and wave energy machines. However, the parts used vary quite considerably depending on the design, size and location of the equipment. Please see our site for a full list of the anti-vibration equipment we stock, as well as for further information on the different types of anti-vibration mounts and their uses, including how these can serve your renewable energy needs. If you require any further information on wind turbine noise reduction, or assistance with purchasing anti-vibration equipment, please don’t hesitate to contact us today. See also our blog for more relevant information, both product and industry based. At GMT, we are leaders in the field of vibration isolation and rubber to metal bonding, across the several industries in which these components are key; rail, construction, aerospace, marine, automotive and defence.